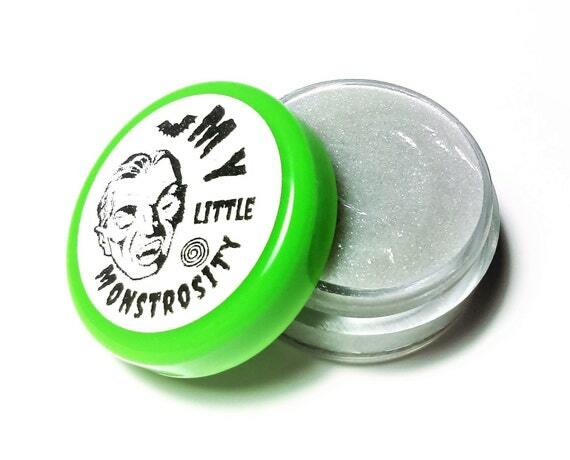 My Little Monstrosity perfume jelly debuts today. fragrance notes: pineapple, pomegranate, freesia, and azalea. fragrance notes: strawberry, vanilla ice cream, and vanilla waffle cone. fragrance notes: red apple, primrose, black currant, teakwood, and vanilla. fragrance notes: white musk, oakmoss, hyacinth, lily-of-the-valley, and carnation.